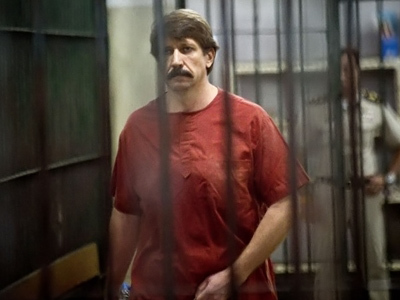 Viktor Bout, Russian businessmen and alleged arms dealer, has appealed to the Russian Consulate in New York asking to help improve the conditions of his imprisonment, his wife, Alla Bout said. 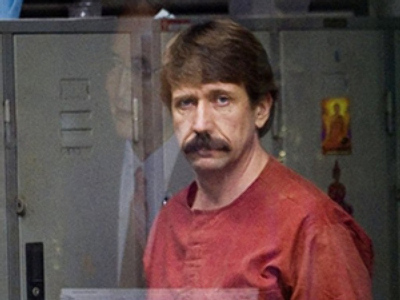 Dubbed in the Western media “The Merchant of Death”, Bout is currently being kept in prison in New York. The 44-year-old is awaiting a trial – set for September 12 – on charges of conspiring to kill Americans and supplying weapons to terrorists. The businessman denies all the charges against him. 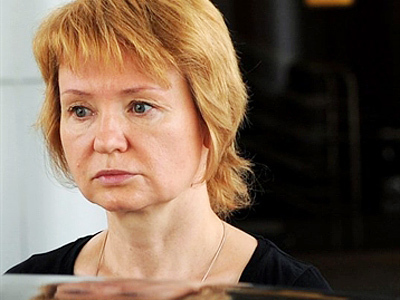 Alla Bout told RIA Novosti that her husband sent a letter to the Consulate General asking for help. His main complaint is the meager diet given to him, which is harmful to his health as it does not comply with the heavy medication that he was prescribed two months ago. Bout was diagnosed with Koch’s bacillus. Viktor is a vegetarian and he “does not get any vitamins or fruit, even those that are included in his menu,” she said after visiting Bout in prison. It is also banned to send him parcels, while all he can get in a prison shop is cola, chips and chocolate bars. The woman noted that her husband is not complaining, but he is concerned about the possibility of having the scurvy and problems with teeth. As a result of Bout’s earlier appeals, he was transferred to a warmer cell, though also in a high security bloc. The Former Soviet military officer is not allowed to use the Internet for correspondence and can only have one 15-minute phone call a month. 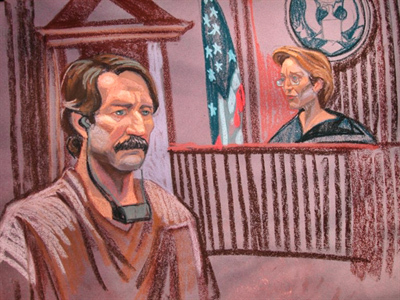 Viktor Bout was arrested in Bangkok in March 2008, in a sting operation orchestrated by American law-enforcement agencies, after years on Interpol’s wanted list. Following a long legal battle, in November 2010, the Thai authorities extradited him to the United States. 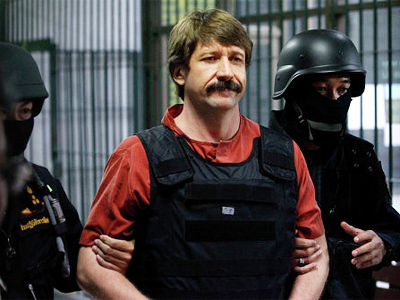 American prosecutors charged Bout with smuggling arms to Columbian militants from the FARC organization. If found guilty, he could face a life sentence. 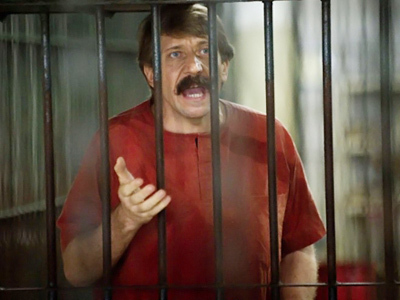 Moscow called Bout’s extradition “an example of striking injustice” and vowed to continue to give all necessary support to him. While the tug of war over Bout’s arrest was continuing on an official level, the man’s family was also striving to help him or at least provide moral support. 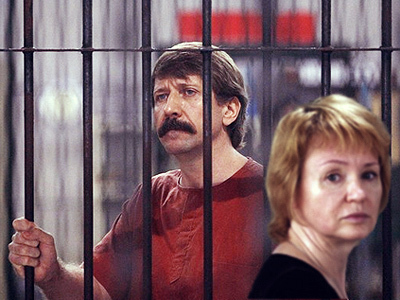 On January 24, Alla Bout was allowed to see her husband for the first time since his extradition. She arrived in New York two weeks earlier with her elderly mother-in-law and a teenage daughter. Alla Bout told RT they were treated like the family of a terrorist upon the arrival at JFK airport. They were immediately approached by US officials and taken to an area where they were asked numerous questions for two and a half hours. “They turned our luggage upside down and took away all the personal things from my bag,” she said. “One person introduced himself as a special anti-terror agent. He said he wanted to talk to me about the purpose of my visit.” According to Alla, they also asked her questions such as whether or not she knew her husband was a terrorist. “I said I didn’t know why my husband was being kept in New York, because no one has proven he was a terrorist or linked to terrorism,” she said. The Russian vice consul in New York – who was present at the airport while Alla was questioned – was not allowed to intervene and could not reach her on mobile phone.